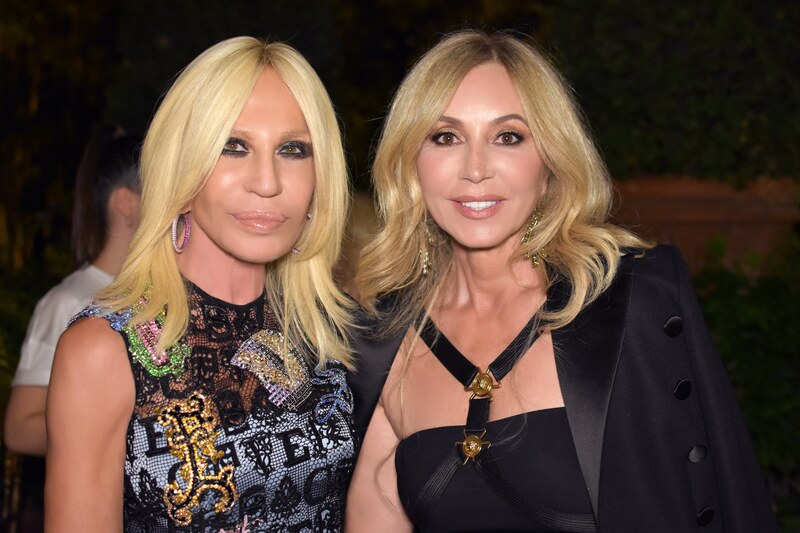 Last week, I had the honor of attending the Versace Spring 2019 show during Milan Fashion Week. I don’t just consider Donatella a friend of mine - I consider her a role model. Since she took over the brand for her brother 21 years ago, it has continued to flourish under her guidance. She is always ahead of the curve, a symbol of empowerment, and an absolute legend with a keen eye and a sharp mind. I traveled to Milan with Charlene, one of my best friends and a talented stylist. Charlene often works with Versace on behalf of her clients to create bespoke garments - everything from evening wear to wedding gowns. For the occasion of our arrival, I had worn a jacket made by Gianni Versace, with the old black and gold label that bore his name. I had purchased the jacket when I was in Milan for the Versace show with Naomi Campbell maybe 22/23 years ago. When we arrived, we were given a tour by Lucio di Rosa (handler of celebrities and special clients and one of Donatella’s right hands) of Gianni’s apartment, preserved exactly as it was when he was alive. We tried on the most incredible gowns that spanned several years of collections. It was so very special, because it was all so very personal. 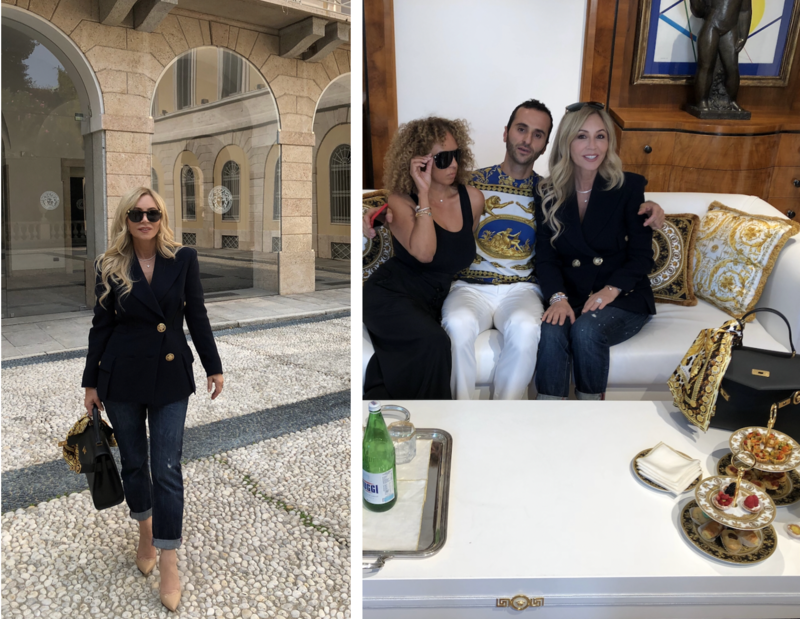 The next day, we stopped by the Versace headquarters for one last up-close-and-personal look at the debuted collection before leaving. It’s one thing for a piece of clothing to be beautiful when staged - you’re overcome with the way it drapes across the model’s body, the blood-pumping music, the collective energy of everyone in the room as they wait with bated breath for what’s around the corner. But when all of that is stripped away, you’re left with the singular work of art. An idea that was made corporeal and has resulted in a stunning garment. You’re standing before a work where each pattern, stitch, and cut was a conscious decision. And without any of the flashing lights, it shines. It was a beautiful show, a whirlwind of a trip, and an experience that I’ll cherish for my lifetime.